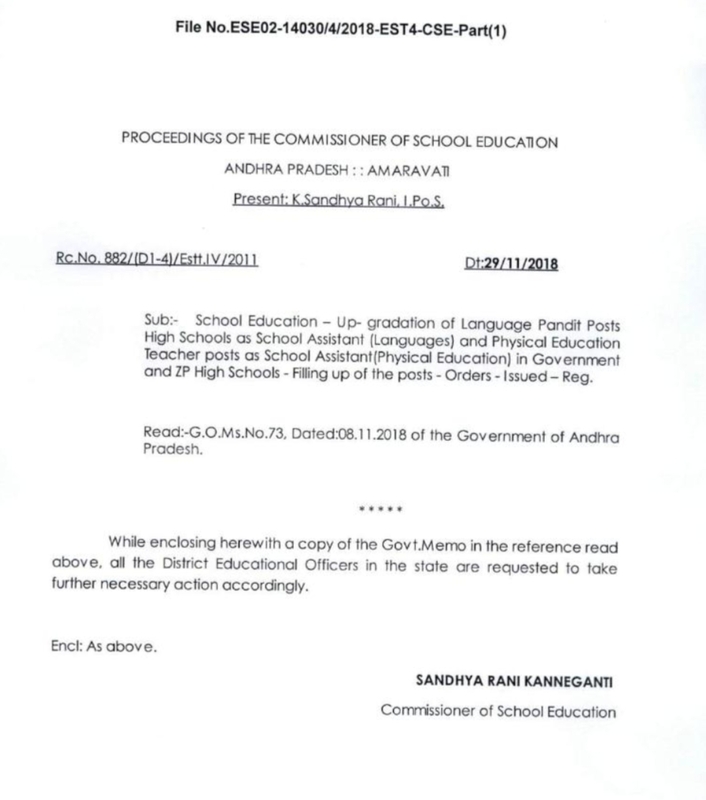 Sub: School Education- Up- gradation of Language Pandit Posts High Schools as School Assistant (Languages) and Physical Education Teacher posts as School Assistant(Physical Education) in Government and ZP High Schools-Filling up of the posts-Orders-Issued-Reg. Read:-G.O.Ms.No.73, Dated:08.11.2018 of the Government of Andhra Pradesh. 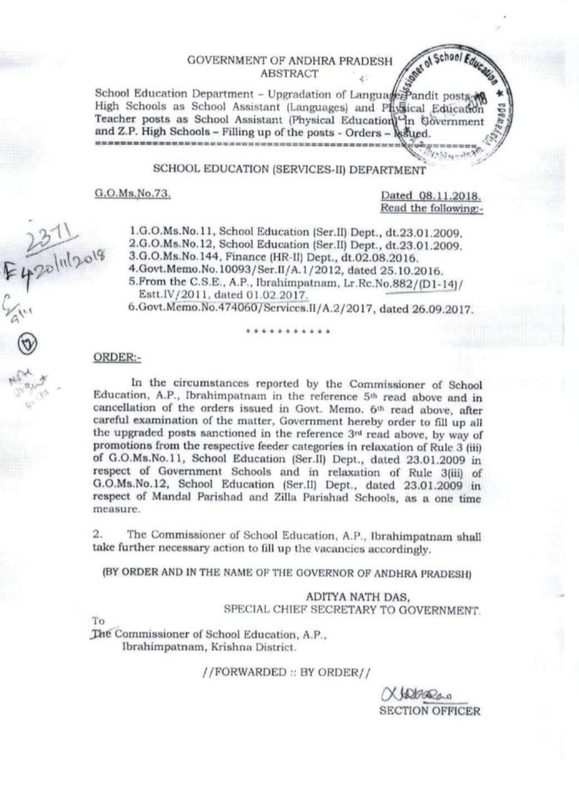 While enclosing herewith a copy of the Govt Memo in the reference read above, all the District Educational Officers in the state are requested to take further necessary action accordingly.